Crackling with steampunk energy, 31 original illustrations feature surrealistic combinations of animals, flowers, and other naturalistic elements with gears, robots, and machinery. Colorists will be enchanted by the eccentric pictures and their imaginative possibilities. Pages are perforated and printed on one side only for easy removal and display. 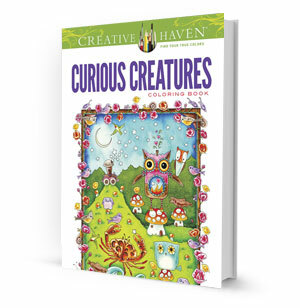 31 original illustrations feature surrealistic combinations of animals, flowers, and other naturalistic elements with gears, robots, and machinery! Funky and fresh, 31 whimsical illustrations crackle a steampunk energy.